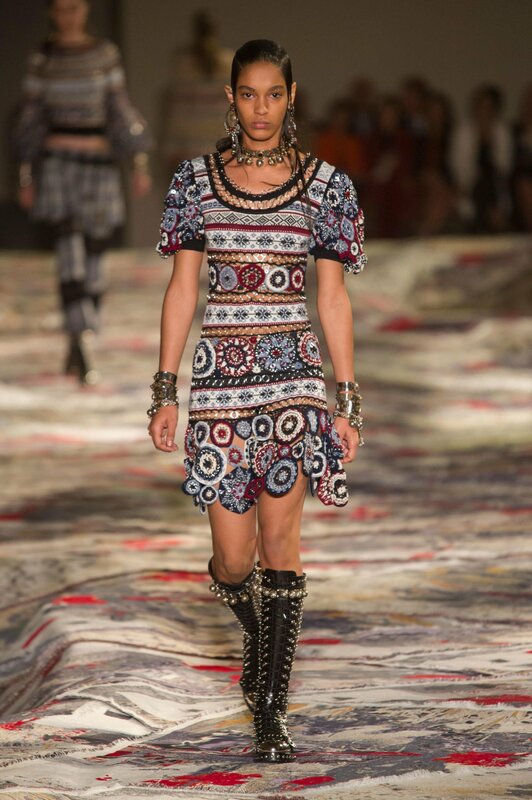 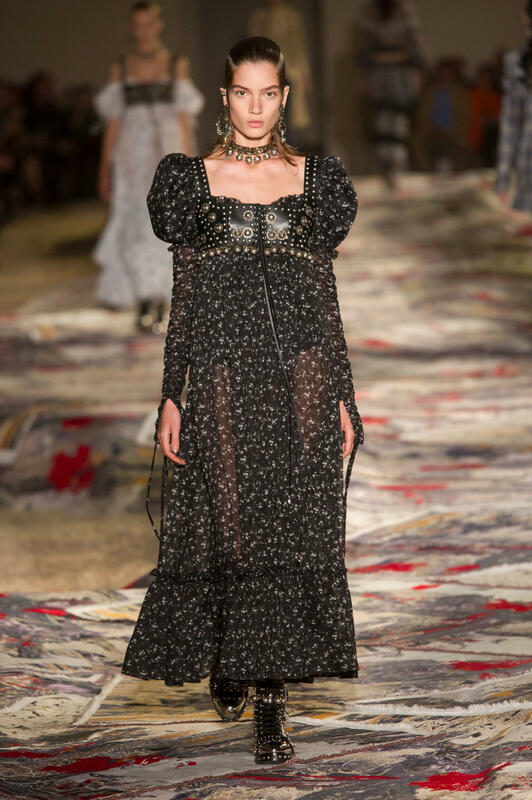 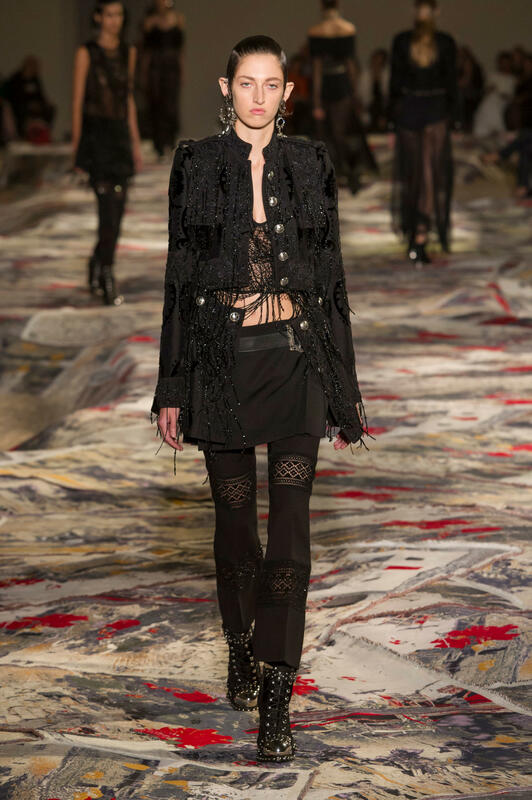 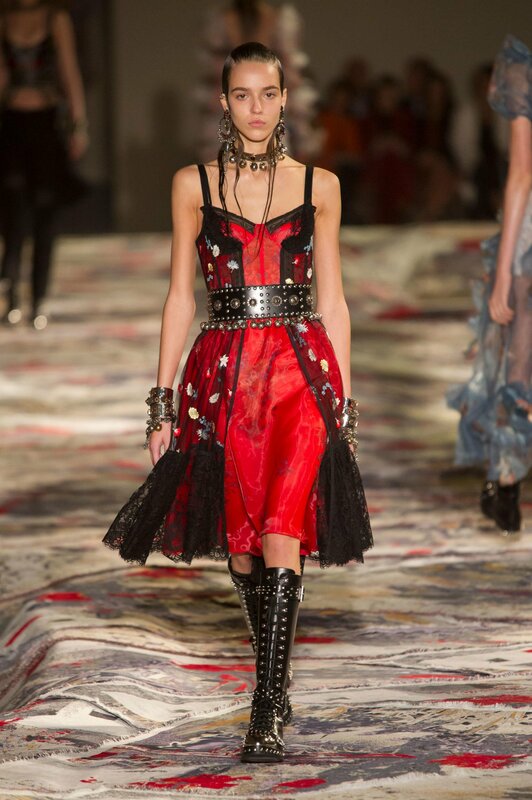 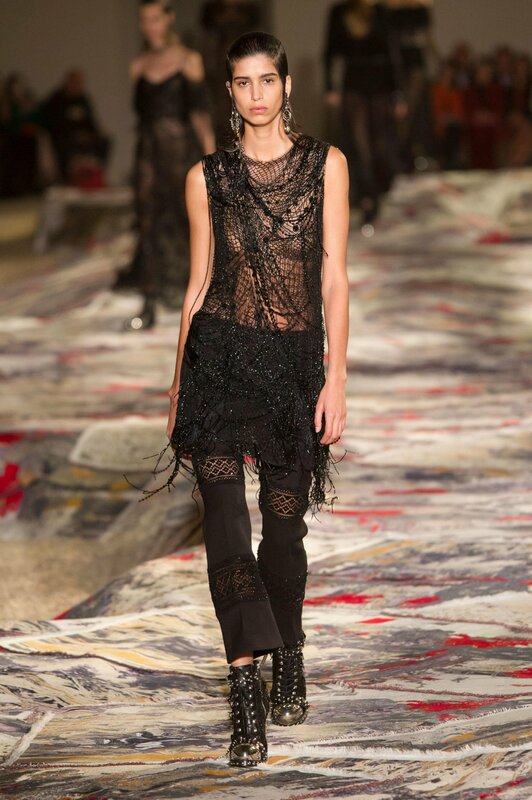 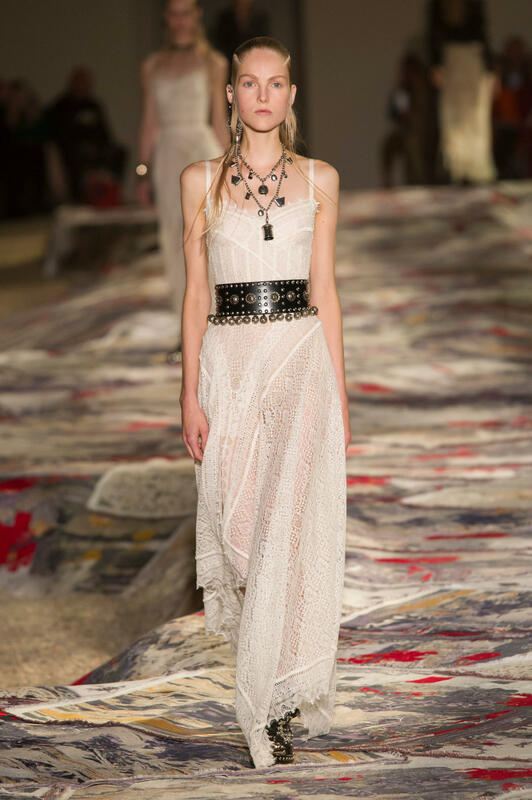 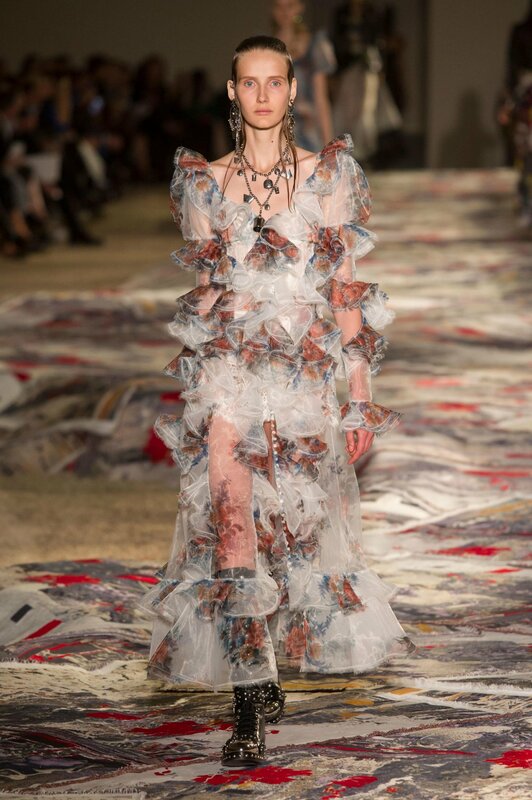 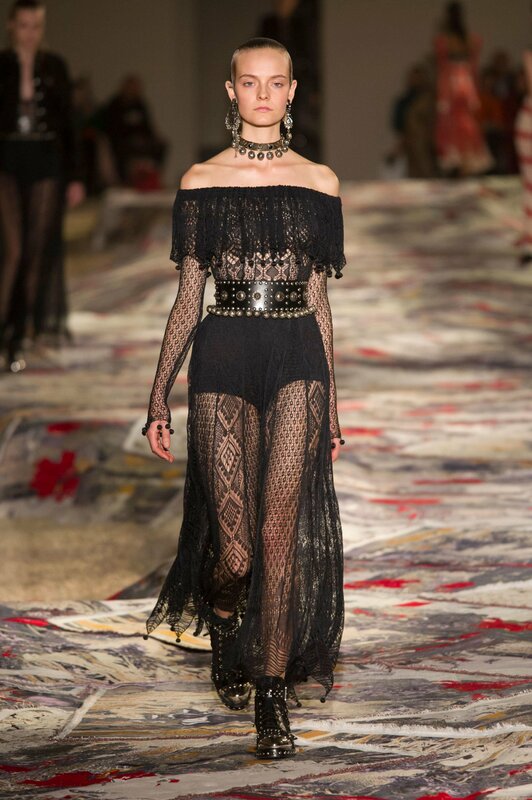 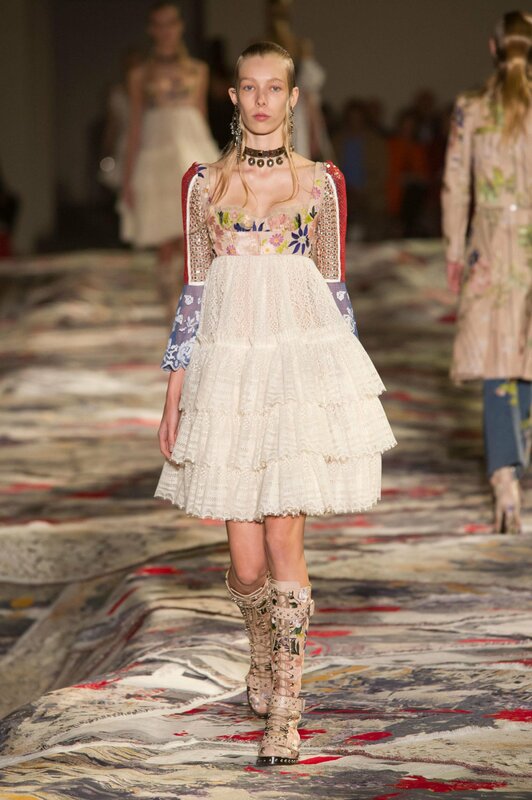 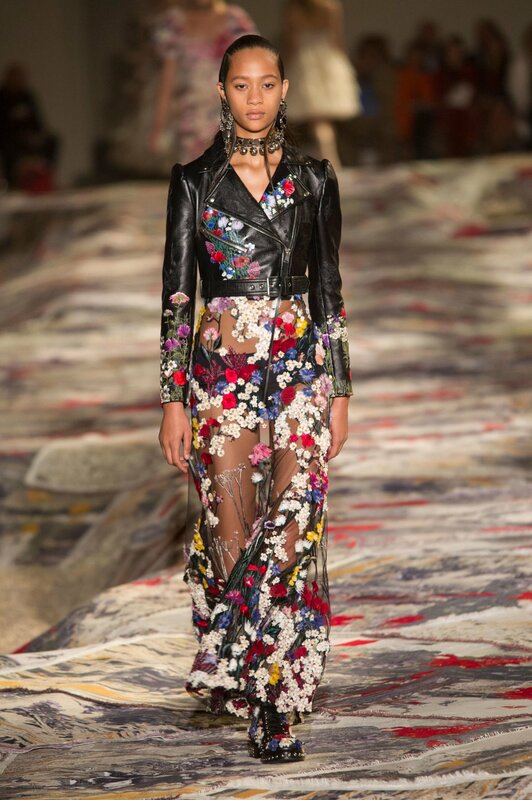 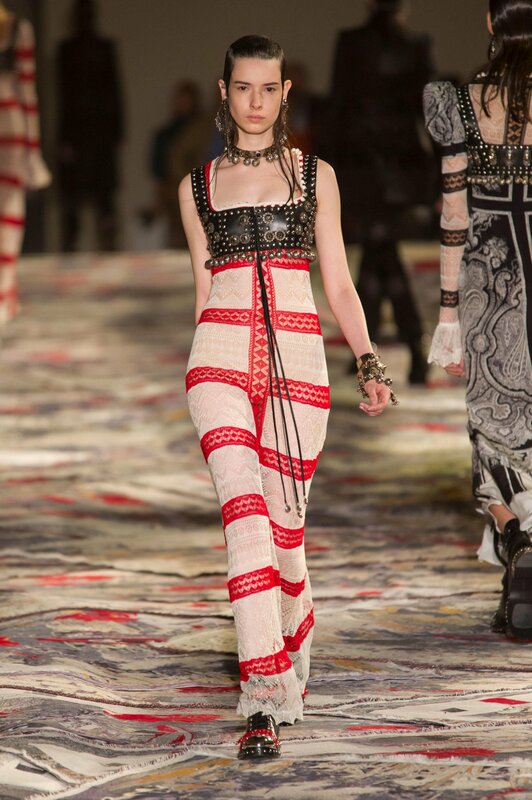 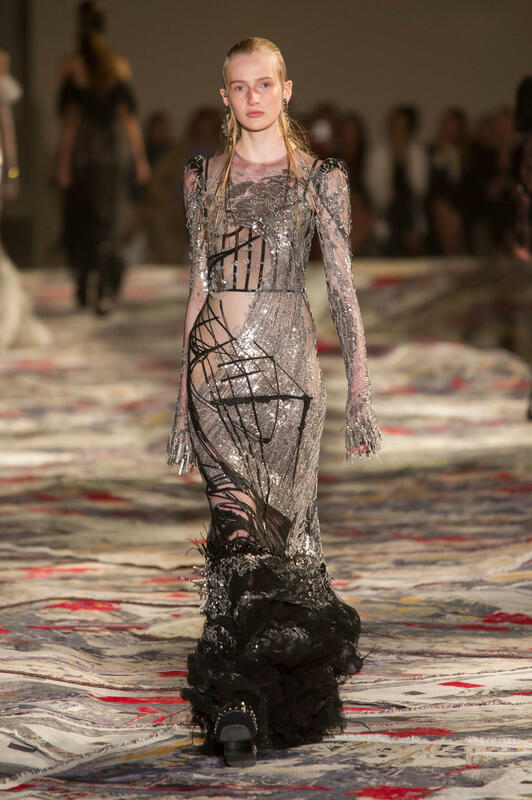 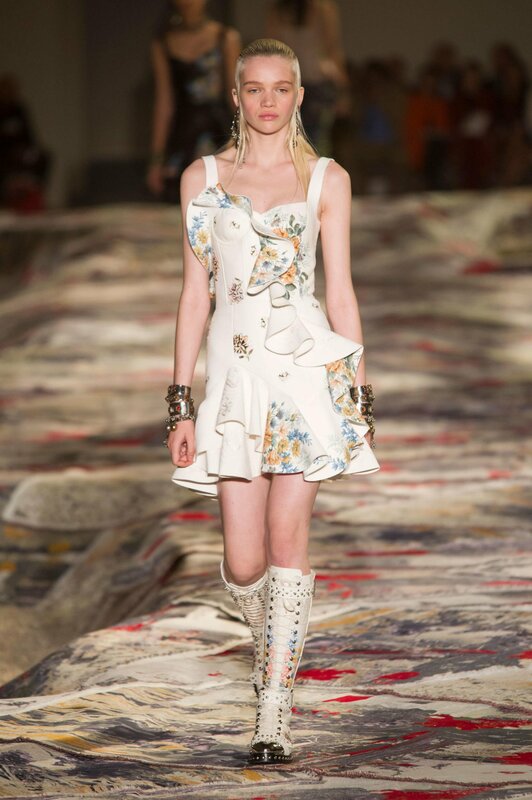 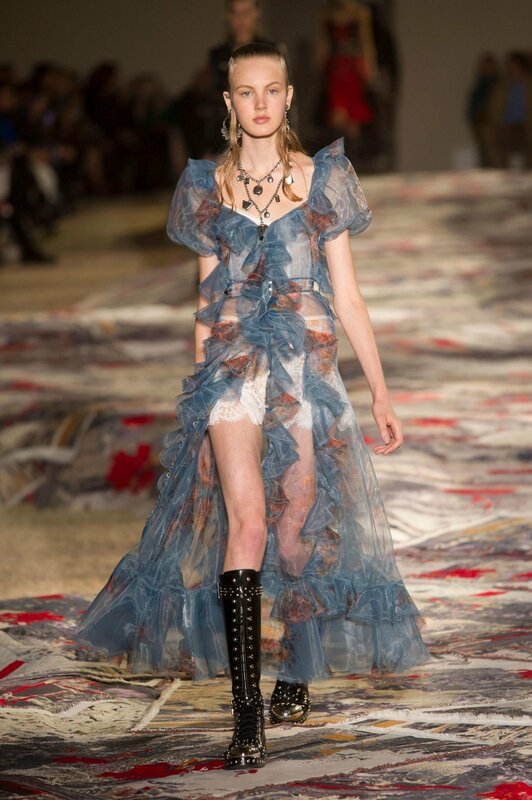 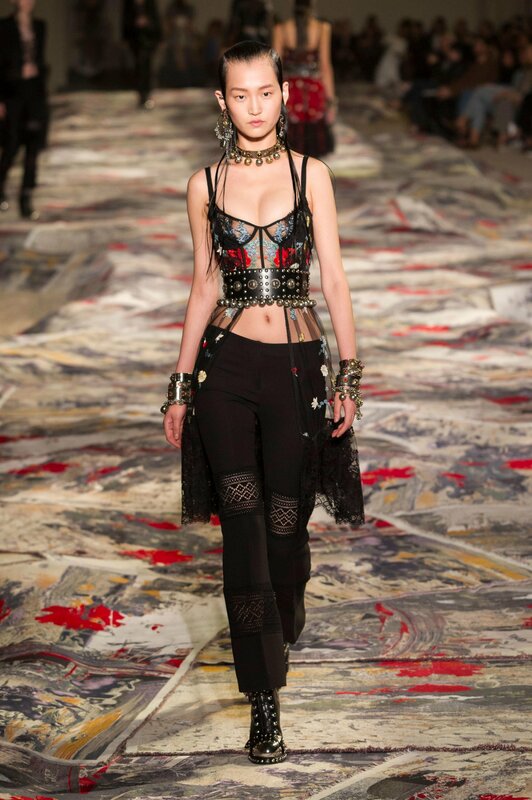 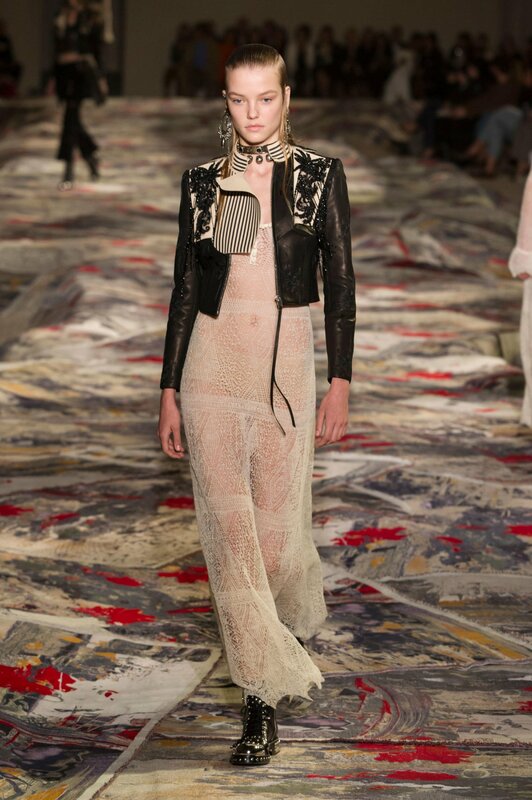 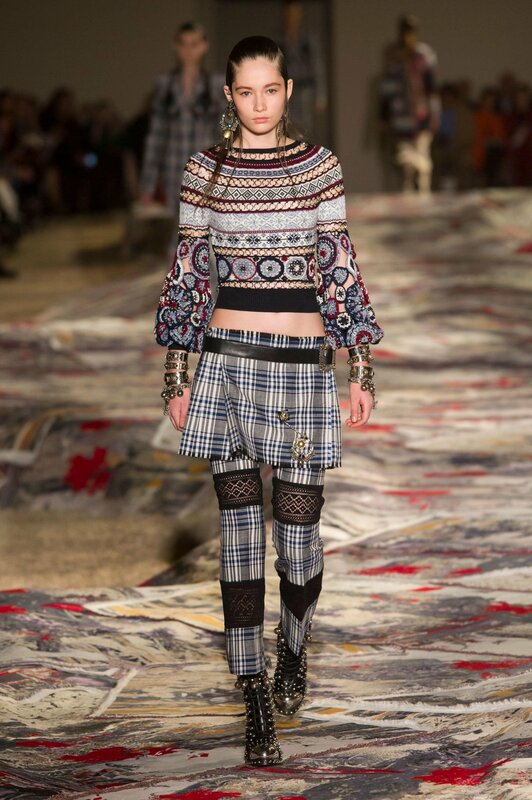 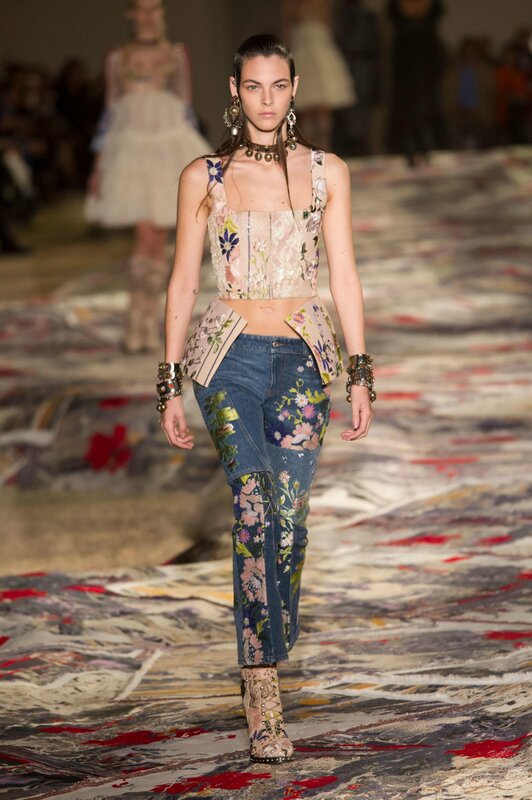 Last month, Alexander McQueen returned to Paris Fashion Week after a provisional switch back from London. 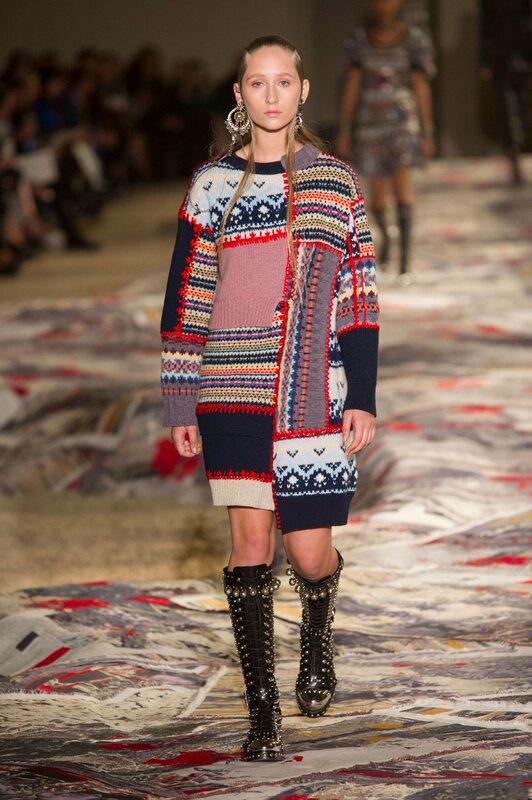 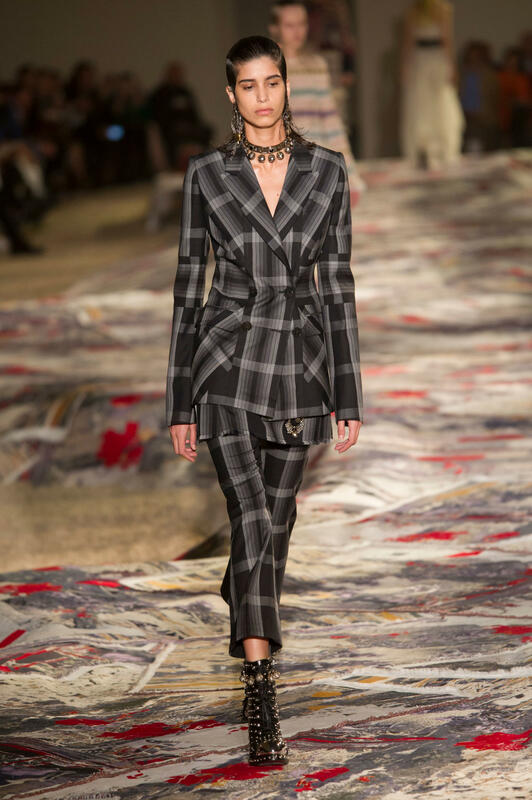 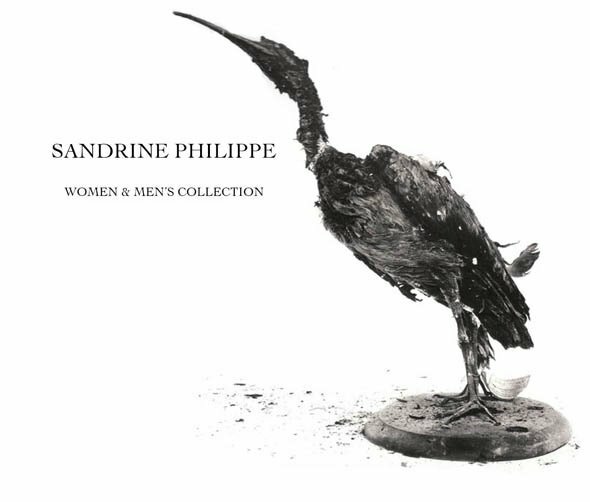 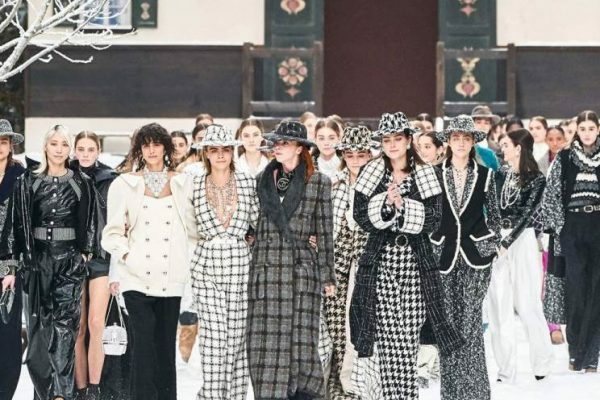 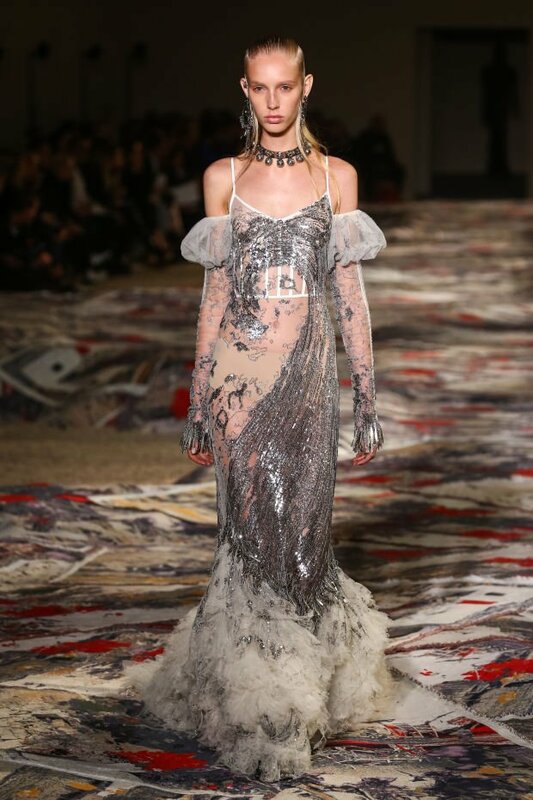 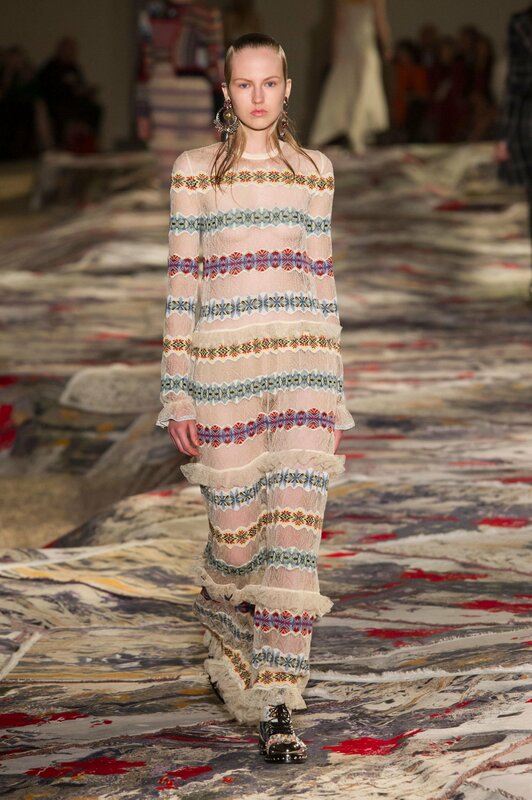 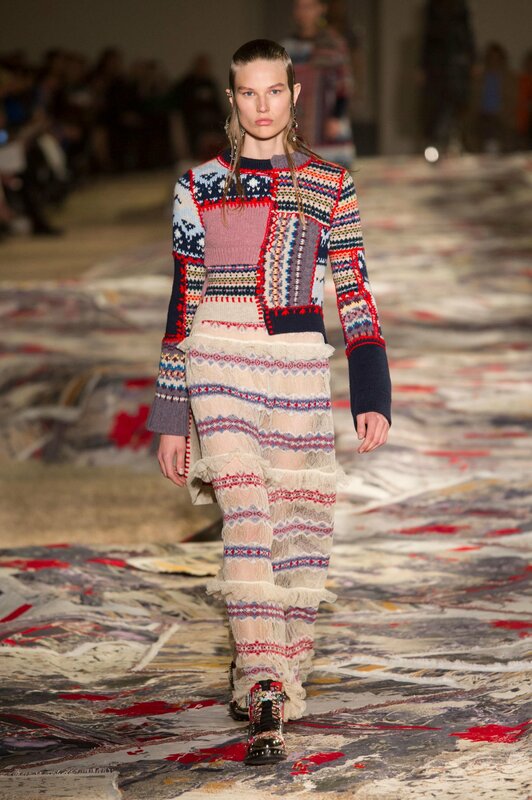 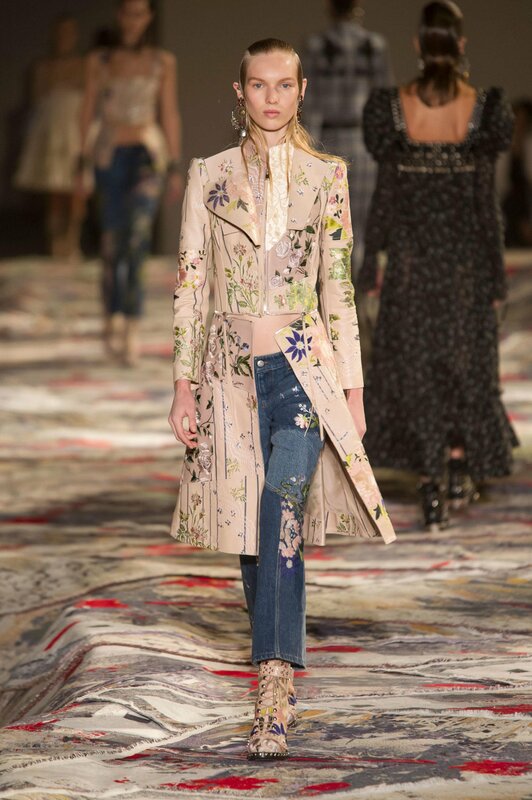 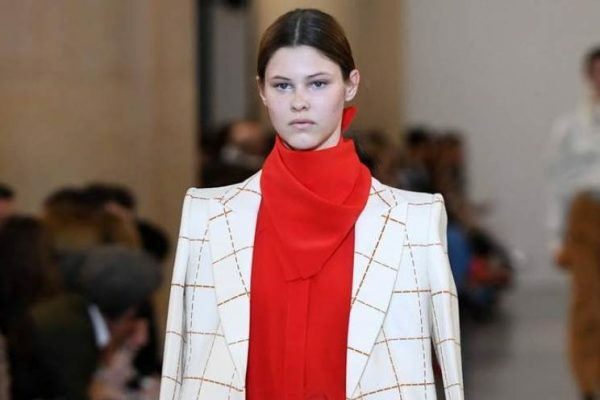 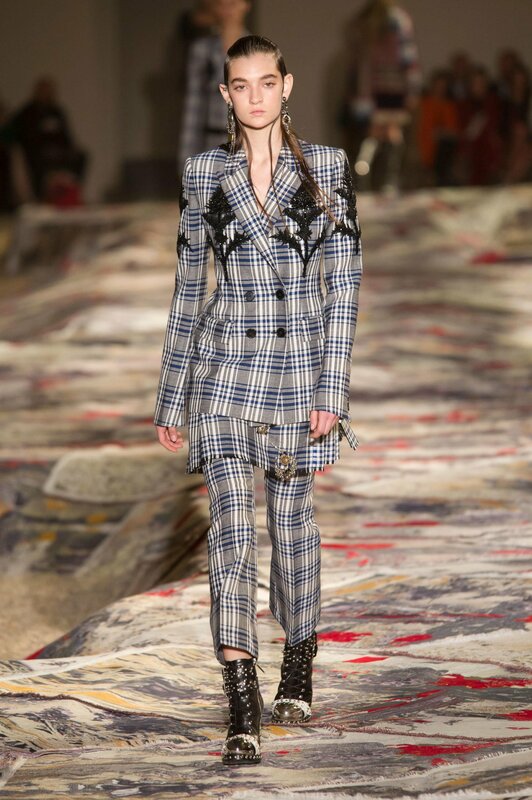 It was here that Sarah Burton presented the houses latest seasonal offering which was showcased on an undulating, coastal formation like runway which saw a sequence of layered rugs meandering through the Orangerie du Senat in Paris´palatial Luxembourg gardens. 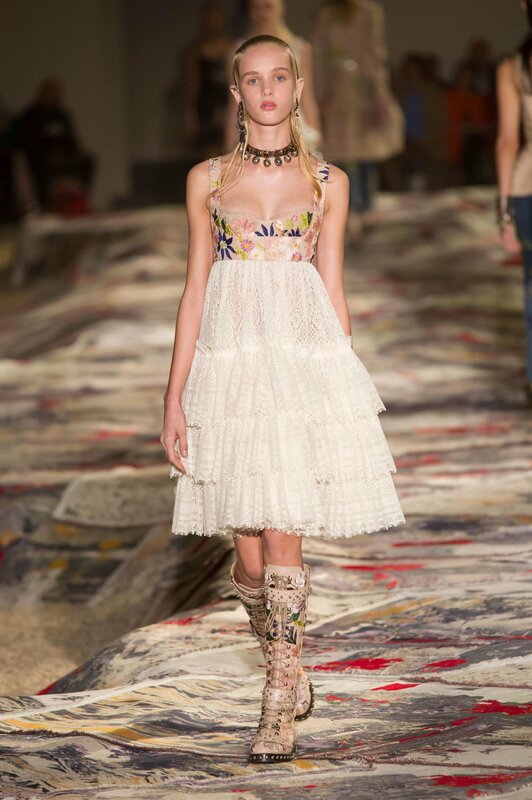 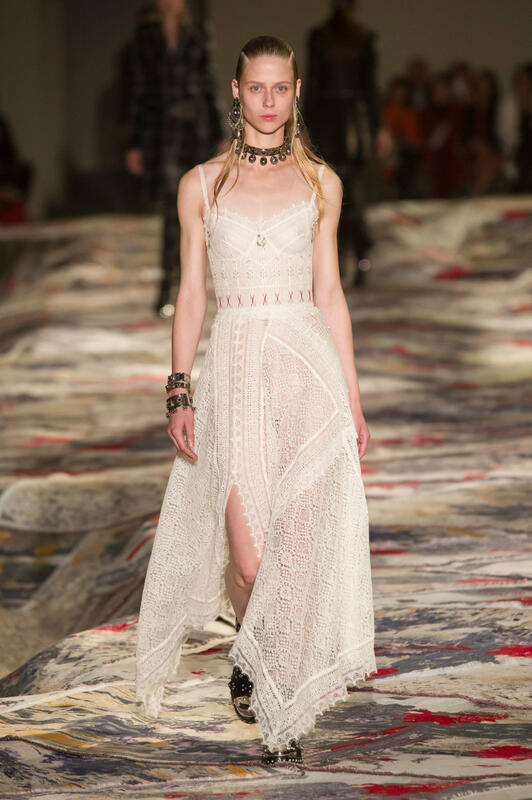 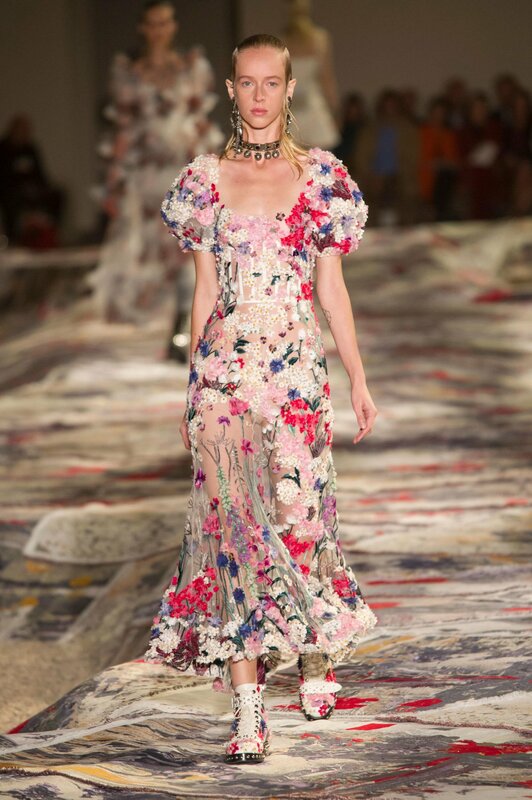 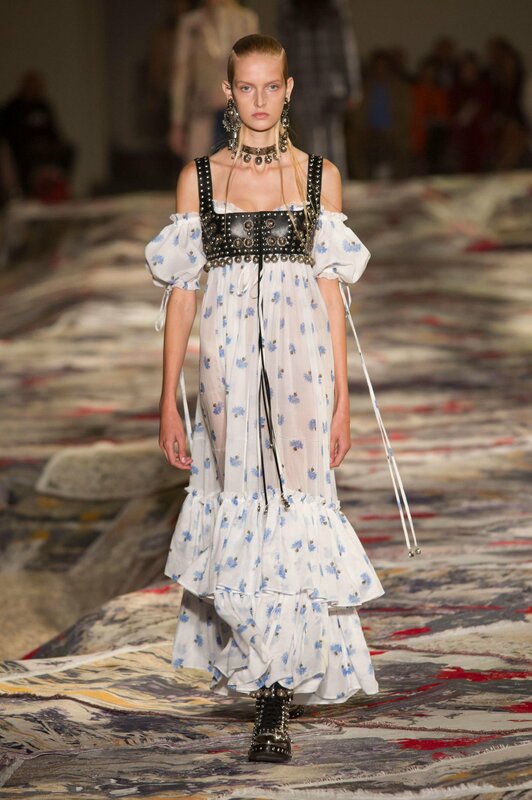 If there is one thing that McQueen´s creative director, Sarah Burton, can achieve, it’s the application of magic and romance within her collections – and her offering for spring / summer 2017 was no different. 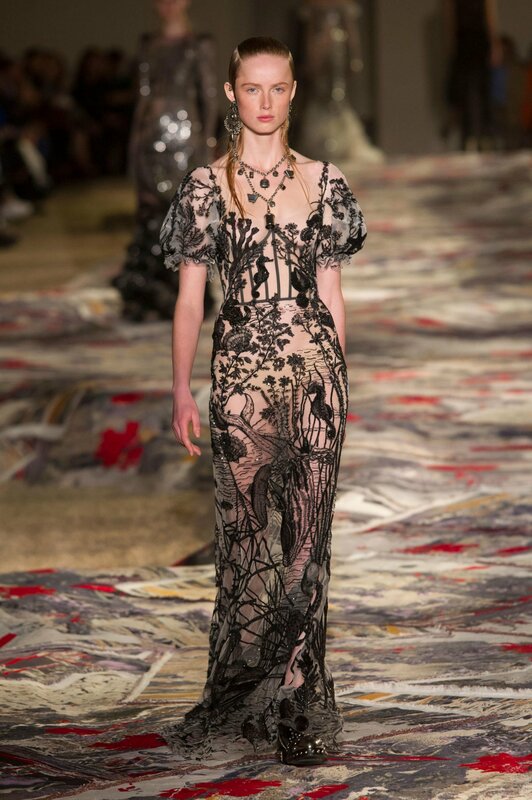 A series of dreamy embroideries and intricate gowns were showcased to an adoring audience, which this time saw her take inspiration from the “wild and magical coastal landscapes of the Shetland Islands,” This collection not only payed homage to the rugged coastal aesthetics of the Northern islands as Kering also took the opportunity to implement the local artisanal skills of their residents for a retake on a ´Metiers D´ Art´ theme. 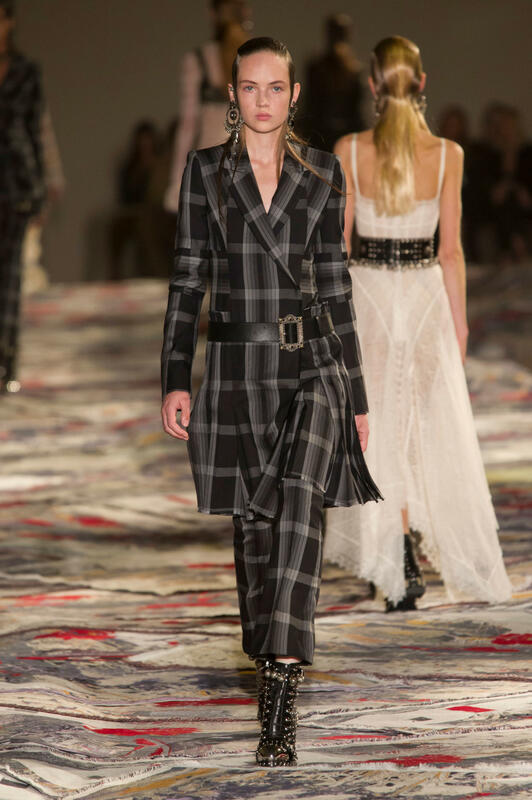 An inspiration of all things Celtic saw Burton reference a collection of antique fabrics which featured patched Tattic rugs, Celtic checks and Celtic parsley. 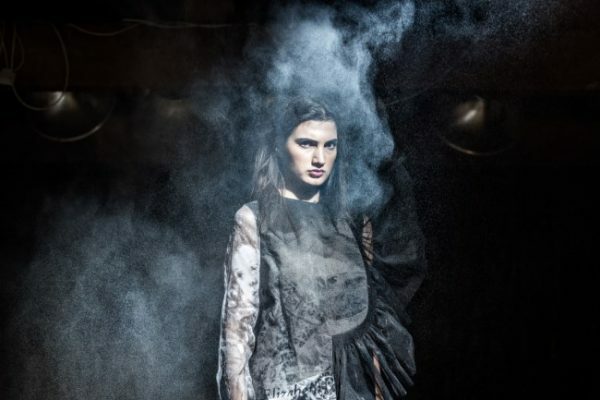 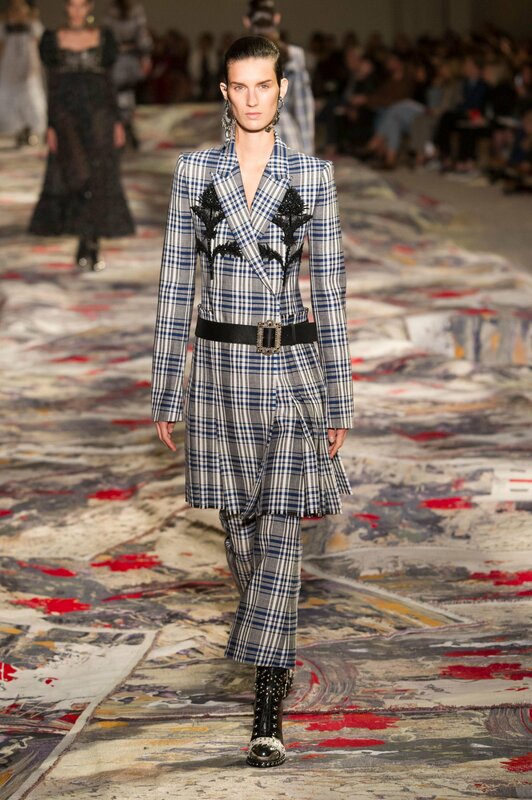 As with her most recent collection, the flora and fauna of rural Scotland acted as a melancholy protagonist; sculptural mini dresses with wide belts met rose-embroidered leather jackets and corsets over wispy dresses. 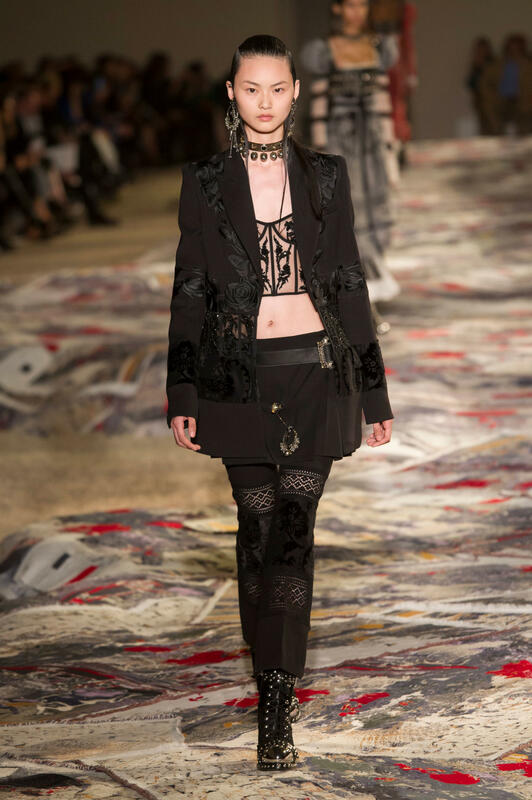 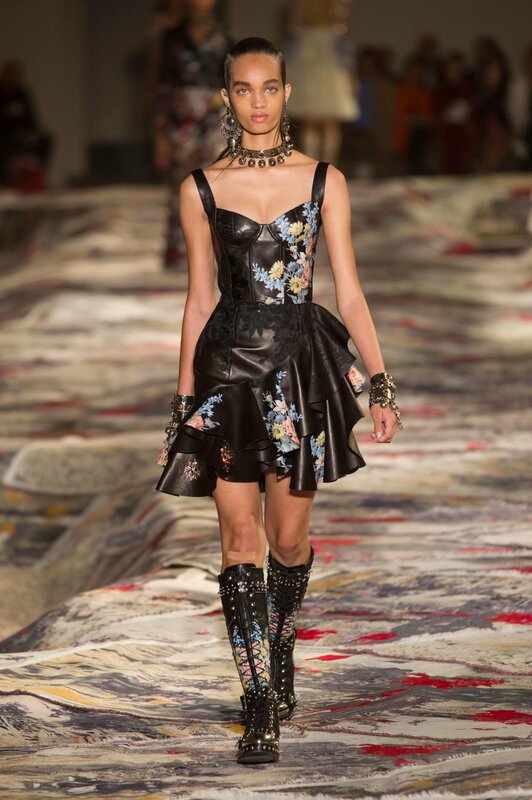 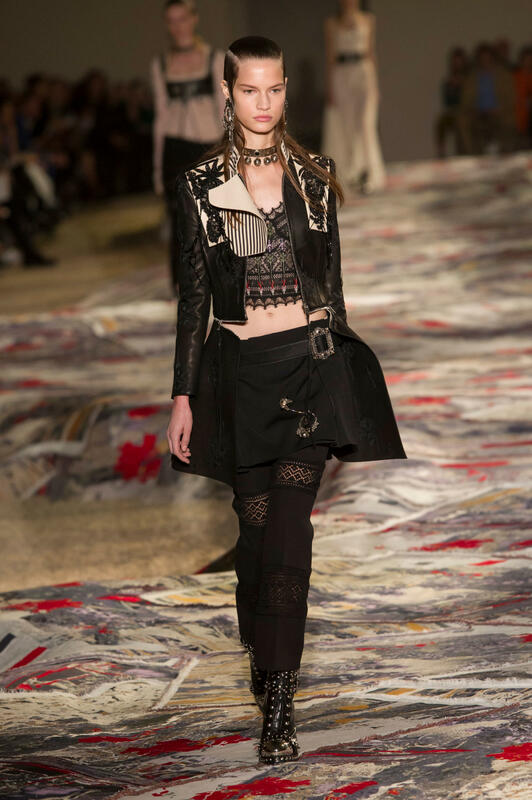 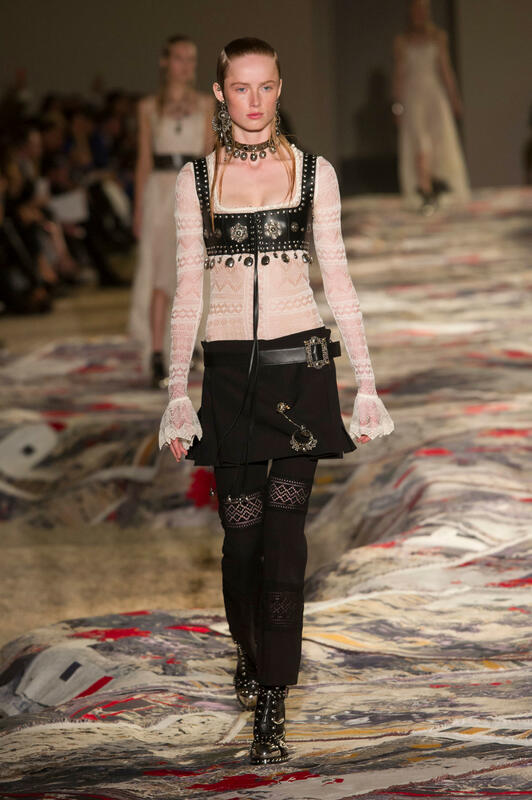 These statement pieces featured quite a lot of leather which were hand finished with flowing flowers or graphic grommets, complete with jingling bells for a pescatarian punk feel. 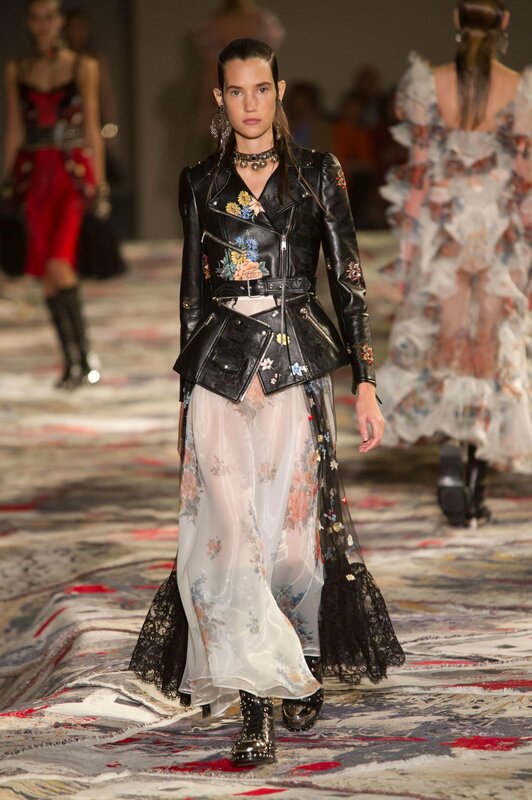 A key theme which was presented throughout the collection was the disruption and distortion of fragile fabrics and sensual shapes, a notion which reached Burton out of her typical boundary of corsets and biker jackets. 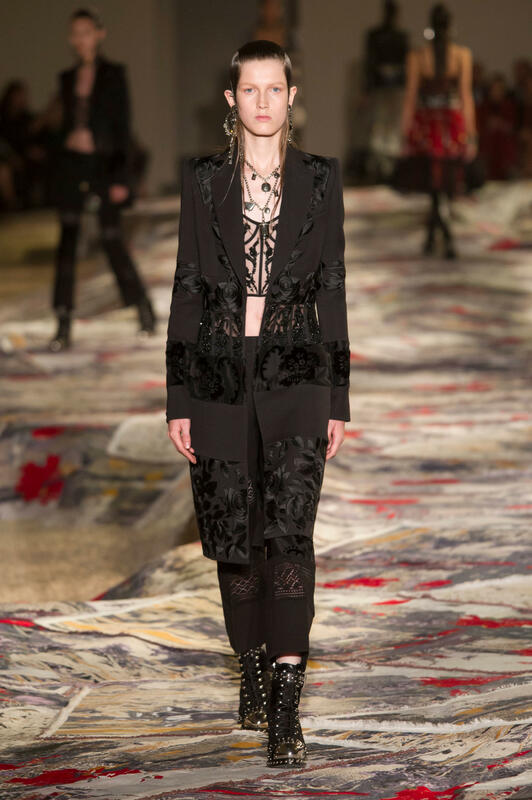 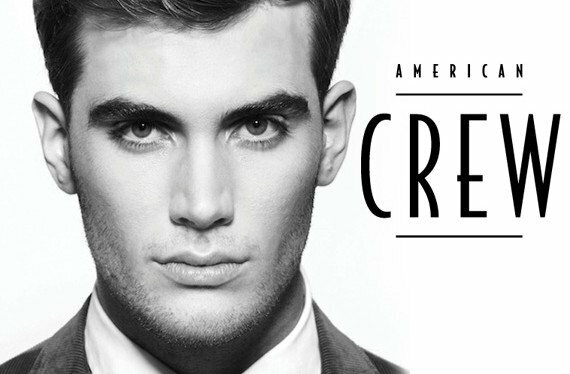 Discreet areas of lace panels broke up sharp, tailored pants and jackets. 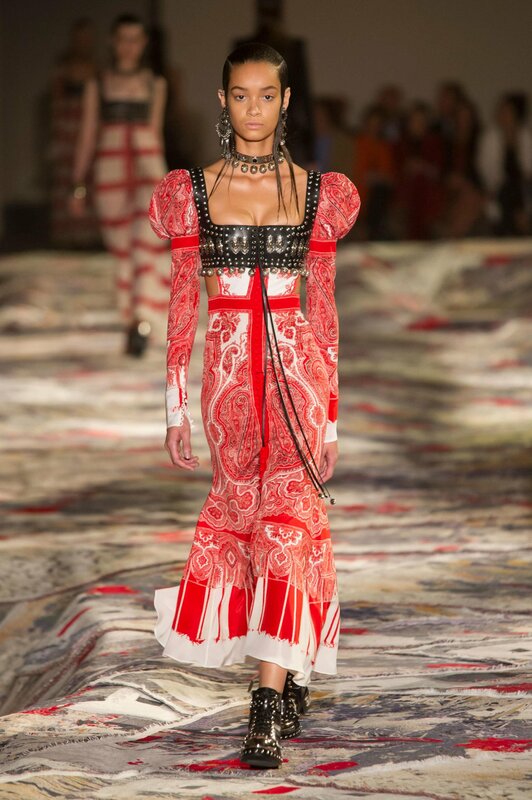 These garments juxtaposed alongside a selection of hand crochet-knitted dresses looked like they had been deconstructed then reconstructed. 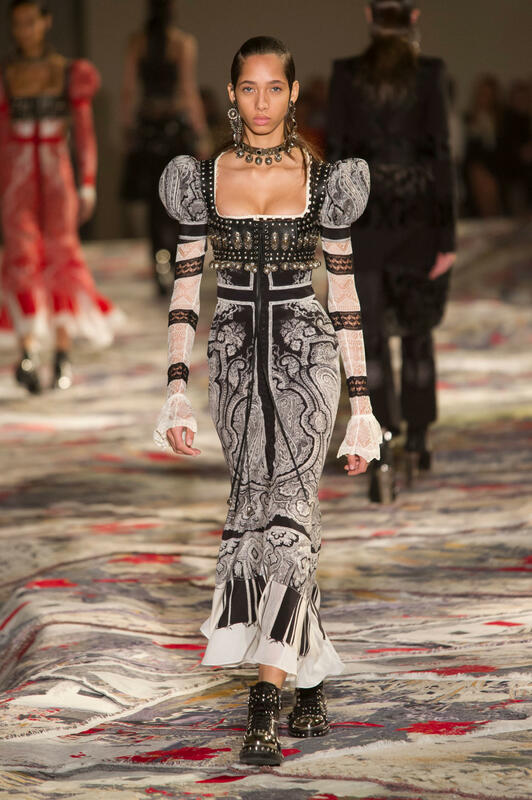 The collection concluded by presenting an arrangement of corseted dresses which had been finished in fishnet knit which was frayed in tangles. 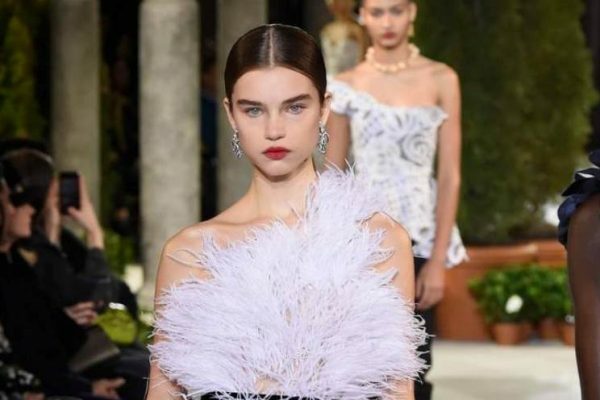 These details sat harmoniously next to delicate tulle skirts were covered in tufts of embroidered flowers before the show closed with two spectacular finale gowns featuring waves of silver sequins and shredded tulle skirts which swam against a sea of black beading. 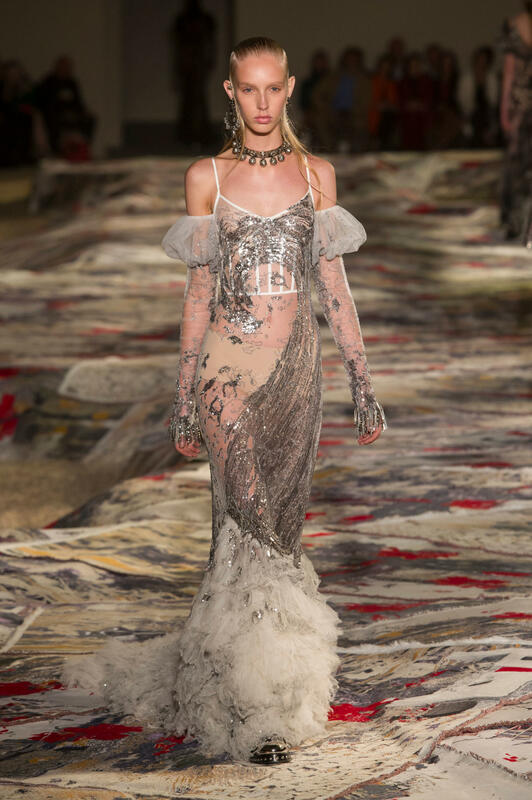 Just the salvation for a shipwrecked mermaid queen.